Magic Ear Kids: The Magic Ear Kids book is here!!! The Magic Ear Kids book is here!!! 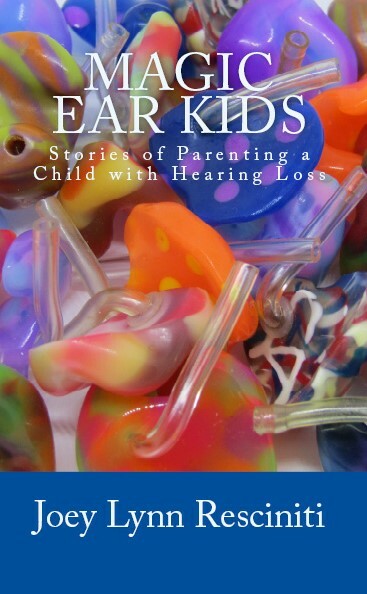 Magic Ear Kids: Stories About Parenting a Child with Hearing Loss is now available from Amazon in print and kindle editions! "Hey Julia, do me a favor and pretend you're reading my book." "I was really reading it!" A compilation of true stories about Julia's journey with hearing loss, Magic Ear Kids takes some of the best posts from this blog and continues the story through the intermediate and middle school years. One early reader (not Julia) declared some passages to be laugh out loud funny. Of course, there's a lot of frustration and a hearty helping of triumph. The work is far from over, but we're far enough along to know that life with hearing loss offers some challenges and limitless potential. I hope other parents and the professionals that serve them will enjoy reading about our experiences. Thanks for visiting Magic Ear Kids. I appreciate your feedback!